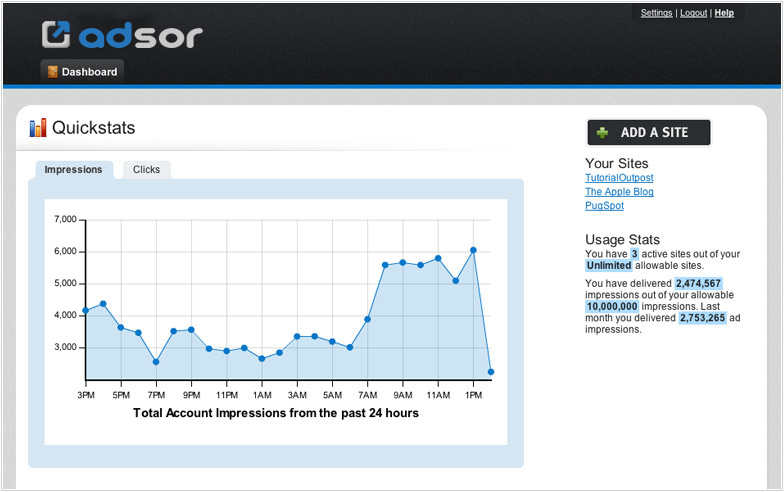 The dashboard provides a quick glance at how all of your sites are performing and what your accounts usage stats are. Ad spots are just that. 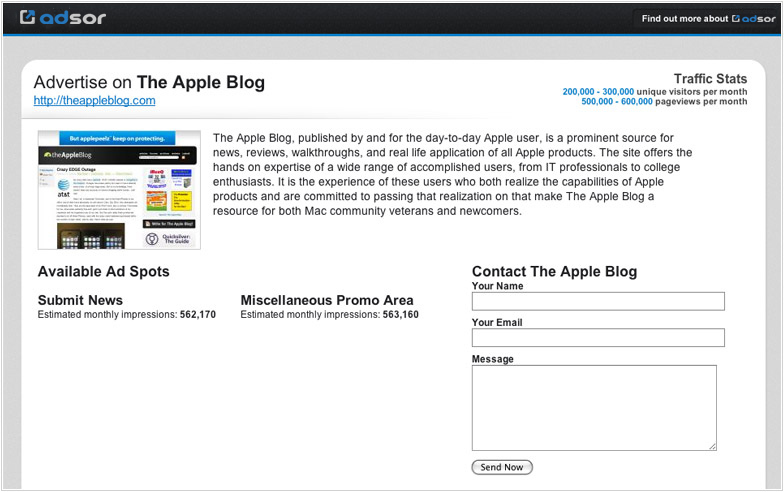 They are the “spots” on your site where you are showing your advertisements. 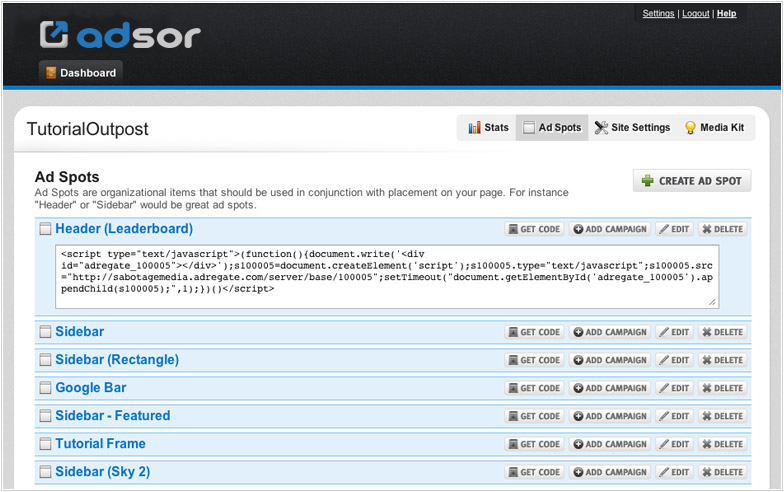 The Ad Spots interface provides a simple way for you to access all of your ad spots for each site. Each ad spot holds different “campaigns” that are rotated within that ad spot. 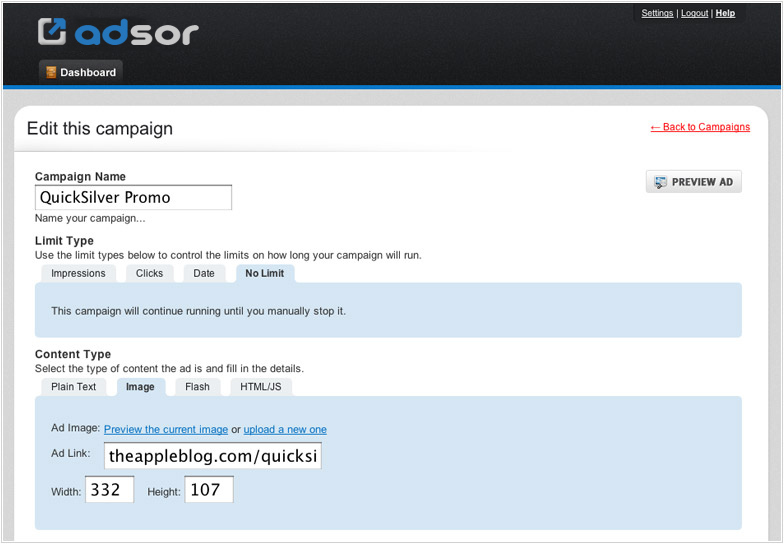 The Campaign management area gives you quick access to statistics related to each campaign. 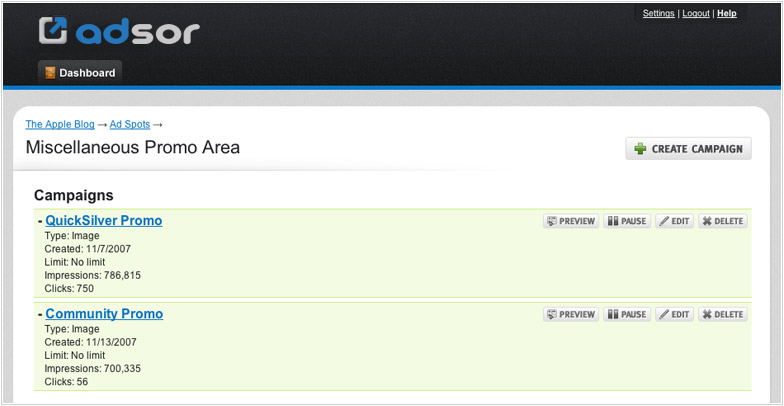 The campaign editing area is where you create and edit all of the details related to how the campaign will be run.